Did your little prince charming arrive in your life recently and you are looking for some unique Hindu baby boy names for your little one? If you really mean to gift him a unique indian baby name, check our list of latest top 100 Hindu baby boy names and choose the best for your little munchkin. Naming your little bundle of joy is perhaps the most confusing task as there are simply so many options! You might have received innumerable suggestions, or as they say, top baby boy names from your relatives, friends, and family. And that would have left you with nothing but confusion. If you are still looking for a unique and interesting name for your newborn, here is our list of top 100 baby boy names along with their meanings that would definitely help you in finalizing the best name for your child. 2. Advik - Unique is the name, “unique” is its meaning. 4. Atharva - The name Atharva is a great choice from our top 100 baby boy names. It means ‘the first Veda’ and is another name of Lord Ganesha. 5. Aakarsh - Your child will be “center of attraction.”. 7. Advay - If you are looking for an uncommon name with sensible meaning, then Advay is a great choice from among our top 100 baby boy names. It means “unique”. 8. Aarav – One of the most popular name with the meaning “wisdom”. 9. Aarush - The name is as bright as its meaning. “Bright, shining or sun” is what the name means. 10. Akul - Another name of Lord Shiva. 11. Adyant - A very different name among our list of top 100 baby boy names, meaning infinite, from the beginning to the end. 12. Adikrit - With this name, your child’s personality of “intense nature with strong feelings” will be reflected. 13. Amay - Amay is one of the names of Lord Ganesha. 15. Agastya - Agastya is the name of a Hindu saint. 16. Anvay - The name derived from the Sanskrit word, meaning “joined or integrated”. 17. Akshaj - The name as beautiful as a diamond is another name of “Lord Vishnu”. 19. Anik - The names means, “soldier”. 20. Aasvik - It represents “Idealism”, making it an ideal name from out top 100 baby boy names. 21. Bhaumik - “Lord of the Earth” is its meaning. 22. Bhargava - “An epithet of Shiva&quot; is the meaning of this name. 23. Bhavin - Your child will be termed as “winner” for lifetime. 24. Chirag - It depicts your prince has spread “light” in every sphere of life along with him. 25. Chetan- The name Chetan symbolizes “life”. It explains that the person has brought gusto and zest into other’s lives. 27. Darshit- As the name suggests, this Hindu name from our top 100 baby boy names has a unique meaning - vision or to pay respect. 32. Evyavan - Another name of “Lord Vishnu” is a trendy and unique name for your child. 34. Ekagra- This Hindi name means “concentration”. 35. Harshit - This name means “Happy and cheerful”. 36. Hriday- It simply means “heart”. 37. Hardik- The name depicts that your child will perform all charities “from the heart”. 38. Hridaan - Your child is blessed with a “great heart”. Choose this name from our top 100 baby boy names for your lovely child! 39. Ibhan - A Wednesday born baby boy can have the timeless name of Lord Ganesha. 40. Idhayan - This unique name with a unique pronunciation means “joy of heart”. 41. Indranil - Another name of Lord Shiva. 42. Ikshaan - Ikshan is a Sanskrit noun referring to ‘sight or superintendence’. 45. Kavish - “Lord of poets” will be your child. 47. Kiaan – This name is so attractive that you can finalize it in one go. It means ancient king. 48. Lakshit - The name means “targeted” or “focused” as Arjuna. 49. Mahit - A new alternative for Mohit, meaning esteemed or honored. 51. Mitul - One who is a friend. 52. Mayin - Creator of Universe. 54. Naksh - Your son’s “features” are great to define. 55. Naman - Naman represents good fundamental nature or greetings. 56. Neil - The name symbolizes “blue sky”. 57. Nishith - The name which means, “Night”. 58. Ojasvat - This name is as strong as its meaning, “strong or energetic”. 59. Parthiv - It means ‘royal’, apt for your little prince from our list of top 100 baby boy names. 62. Priyansh - It is the most valuable or loved part of something. 64. Reyaansh - The name means, a ray of light. 66. Rohil - This name, meaning ‘grown, rising’, will be trendy this season. 67. Sahil - A guide. 69. Sarin - Sarin means ‘helpful’ and is a wonderful choice from our list of top 100 baby boy names. 70. Shlok - A Vedic chant, will be a peaceful name for your child. 71. Shivansh - Perfect name for a baby who is a blessing of Lord Shiva. 73. Shresht - The name means, ‘best, king, superior’, will definitely make your son stand out. 76. 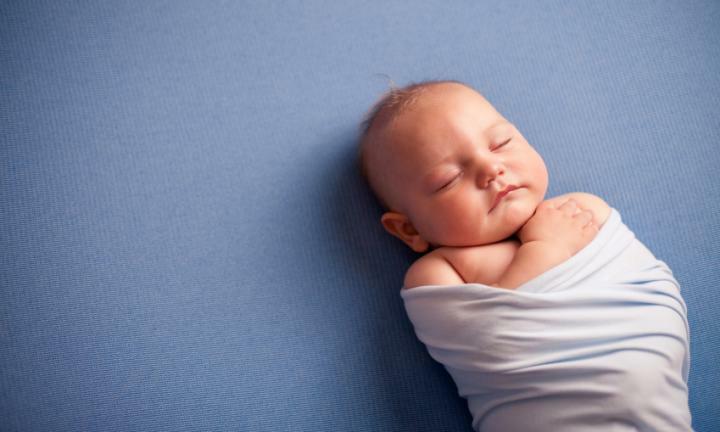 Sudyut - Meaning ‘shining beautifully,’ it is too beautiful of a name from our list of top 100 baby boy names to consider for your little one. 77. Svojas - One uncommon name of Lord Ganesha which means strong and powerful. 82. Ujesh - Ujesh means ‘conquering’. 83. Urijit - energized or powerful. 86. Vivaan - The same meaning as of Viaan. 87. Vihaan - The morning dawn or sunrise, your child’s name will be pleasant. 88. Varenya - Exclusive name on our list of top 100 baby boy names which means ‘best, excellent. 90. Vedhas - Worshipper of Gods. 91. Vaydhish - “Lord of the Vedas” is its meaning. 93. Viraj – Brilliant and shining will be the traits of your little one. 94. Vyan - The cool name means breath or life-giving. 96. Yakshit - Permanent is the meaning of this unique name. 97. Yuvaan - The appealing and rich name means youthful, peaceful. It is one of the names of Lord Shiva. 98. Yuven - The prince. 99. Yuvraj - The Hindi word for Prince. Giving your child the best name is a gift for his entire life. There are so many factors to be considered before finalizing the name for your child from our top 100 baby boy names. The name should be unique, reflecting your ethnicity, tradition and your child’s personality. There is a true saying, “your name has a big impact on your image”. This compiled list of top 100 baby boy names along with their meaning is sure to help you with choosing the right name for your little prince. It’s worth taking the time and putting efforts before choosing the perfect name for him!